Around the world there are many animals close to extinction. One group particularly under threat are elephants. Meet the species that are on the edge, learn how they are threatened and what is being done to help them survive. 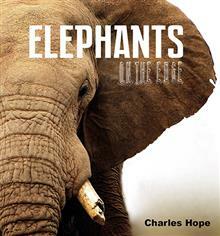 Charles is a children's picture book author. He has written a number of titles for Wild Dog Books across a range of series. These include the Our Past series, the Extreme Weather series, the Going Supernova series, Butterflies, Horses, Honey Bees, Frogs and Birds of Prey CloseUp, the Then & Now series and one-off titles Hunters & Hunted, Fantastic Facts, Gross Facts and The Book of the Sun and the Stars.